Fortnite won't require Switch Online; Splatoon 2 players will receive free items; new cloud save details are disappointing. Nintendo Switch Online will launch on September 18. The premium subscription service will allow subscribers to backup most of their save game data online, play classic NES games at no additional cost, and more. New details about the service are coming out left and right, but they’re not all positive. First, the good news. While a Nintendo Switch Online membership will be required to continue playing online in popular games like Mario Kart 8 Deluxe and Splatoon 2, IGN reported that Fortnite fans won’t have to subscribe to the service to keep playing the popular battle royale game. Fortnite won’t be the only game that can still be played online without a membership, but the requirement will vary from game to game, so there’s no way to know about future Switch titles until they get closer to launch. Next, US Gamer reported that Splatoon 2 players who sign up for a 12-month Nintendo Switch Online membership (either the $19.99 solo membership or the $34.99 family membership) will receive free download codes for exclusive items in the family-friendly multiplayer shooter. In early October, subscribers will receive an email containing codes to download an Online Jersey and Online SquidKid V Shoes in Splatoon 2. Users on the family membership plan will receive eight download codes, so everyone on the plan can have the items on their own account. Remember, Splatoon 2 is one of the games that will require a Nintendo Switch Online membership in order to keep playing games online. If you want these free items, make sure you choose the 12-month membership, rather than the one- or three-month memberships that are also available. Finally, the not-so-great news. One of the biggest features of the Nintendo Switch Online service is the ability to save an online backup of your game save data, so you won’t have to worry about starting over from scratch if something happens to your Switch, or you move your account to a new Switch console. As US Gamer spotted, Nintendo said there’s no guarantee that your online backups will be kept around if your online membership lapses. Nintendo didn’t clarify how long this “extended period of time” actually is, but we’ll let you know if we find out in the future. In the meantime, if you want the peace of mind associated with knowing your game data is safe, make sure you don’t let your online membership lapse. Of course, this doesn’t apply to the games that won’t support the cloud save data feature, including Pokemon: Let’s Go, Pikachu and Let’s Go Eevee, among others. It’s worth mentioning that the PlayStation 4 and Xbox One also support online backups of game save data. As Eurogamer pointed out, PlayStation 4 save data is kept online for six months after a user’s subscription ends, while Xbox One saves are kept forever. Update (9/26/18): As reported by GamesIndustry.biz (via IGN), Nintendo said that once a user's Nintendo Switch Online membership expires, it will keep their cloud saves for 180 days. If the user resubscribes before the 180 days have elapsed, they will be able to access their save cloud data again. 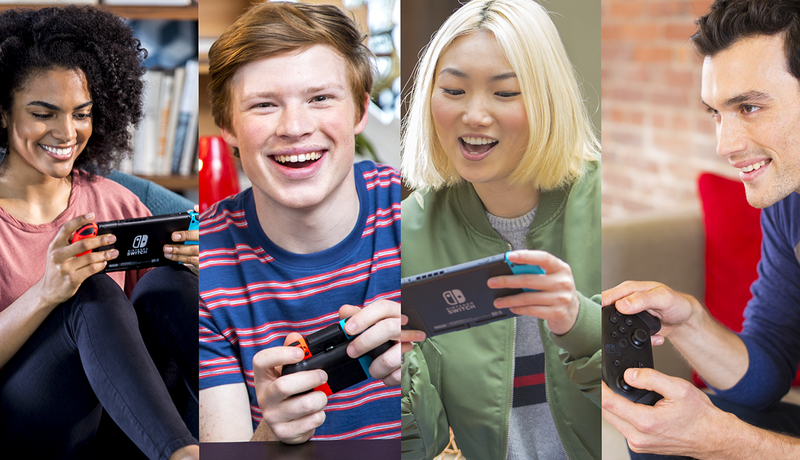 If you’re interested in learning more about the Nintendo Switch Online service, check out our complete guide. Update (9/18/18): Here are two additional details you should know about Nintendo Switch Online. As Eurogamer reported, in order to keep accessing the classic NES games available to subscribers, your console will need to connect to the internet at least once per week. If you frequently use your Switch offline, keep this requirement in mind. Finally, if you’ve been saving your My Nintendo Gold Points (the points earned when you purchase Switch, 3DS, and Wii U games/DLC), IGN reported that you’ll have the option to use those points to purchase an online membership. Nintendo’s question-and-answer page confirmed that the points can be used to purchase a membership, but they can’t be used for the automatic renewal when the membership ends.